Please call our business office at 423.267.4585 to obtain more detailed information regarding network participation, or contact your health insurance or physician network representative. We request that you bring your insurance card with you at each visit, which allows us to insure that all information is up to date and accurate. If you are covered by more than one plan, please bring those cards with you as well. 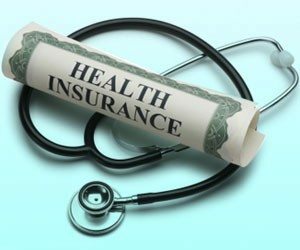 While our well-trained business staff makes every effort to be familiar with healthcare services covered by the various plans, it is impossible to stay abreast of the many variations and contracts offered by these health insurance companies. Each insured patient is responsible for knowing which services are covered under their plan. Co-payments (“co-pays”) and any portion of charges you may owe through the “deductible” portion of your health insurance plan will be payable at the time of your visit. The University Orthopedics business office will file insurance claims on your behalf for those health insurance plans or networks in which the group participates. Patients with health insurance from a plan or network the group does not participate in may schedule appointments and receive services, but usually will have a greater “out-of-network” co-payment, or higher deductible to pay. The University Orthopedics Business Office will also file insurance claims on behalf of patients whose health insurance plans are in these categories, but the patient will be responsible for any unpaid charges. If your health insurance plan requires that you obtain a “referral” from your primary or family physician, or from another physician, before you are seen by a surgeon at University Orthopedics, the “referral” must be received prior to your visit, or your visit will have to be rescheduled.